A new footpath and cycleway opened to the public on 8 March 2019. 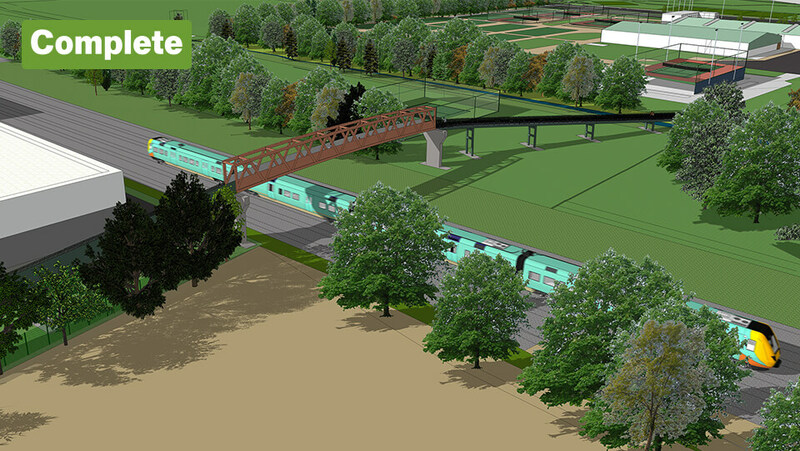 It includes a 50-metre bridge over the Midland Mainline, and better connects Nottingham’s growing cycle network with the city centre and a major employment zone. The path connects the Boots Campus of the Nottingham Enterprise Zone with Nottingham Science Park and University Boulevard – offering access to tram and bus services, and joining up with the existing Western Cycle Corridor. This will also improve links to the University of Nottingham and the Queen’s Medical Centre. 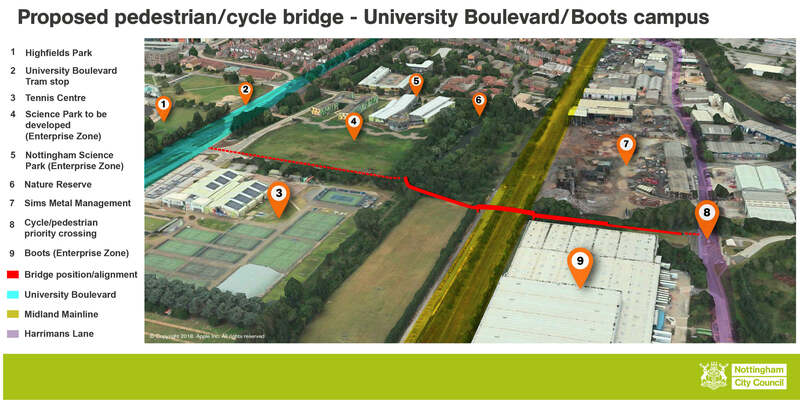 The cycle bridge can be reached by a path off University Boulevard, between the tennis centre and land earmarked for future science park developments. After crossing the mainline, the path follows around the Boots site and connect with Thane Road and the Beeston canal. Construction firm Eurovia built the cycle bridge, ramps and associated paths, all of which are well lit. The bridge, built using treated steel to reduce future maintenance costs, was lifted into place over the August bank holiday 2018 to minimise disruption to the mainline. 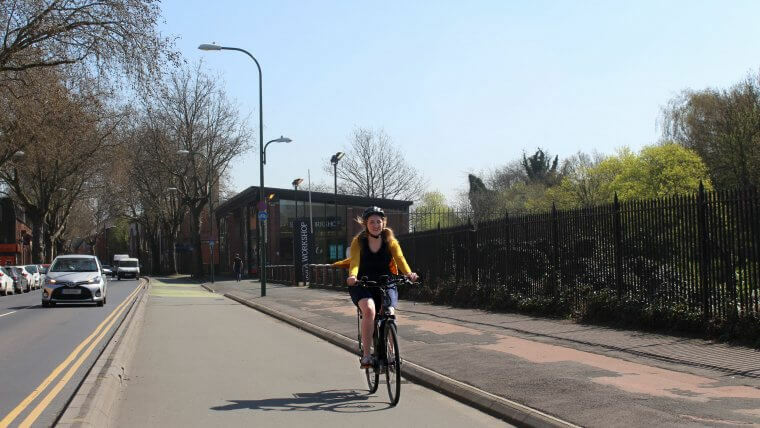 You can find out more about cycling in Nottingham here. 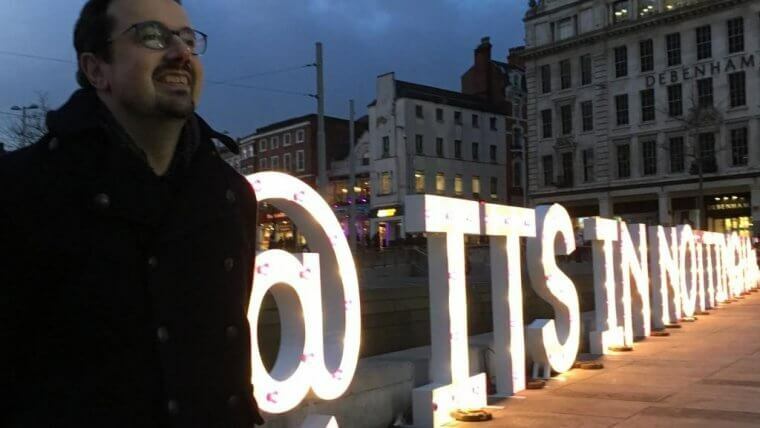 What is Nottingham Enterprise Zone? Enterprise Zones are designated areas with incentives to encourage the creation of new businesses, which will contribute to the growth of local and national economies. The Boots site in total consists of 279 acres (113 hectares) and Walgreens Boots Alliance’s vision is to create a UK centre for innovation in health, beauty and wellness in Nottingham. The site will offer a cost effective, high quality, centrally located site for health and wellness businesses such as business incubators, start-ups and small and medium enterprises. As well as existing buildings suitable for redevelopment, the site also includes around 100 acres (40 hectares) of brownfield land suitable for development. Funding partners for the development of the Nottingham Enterprise Zone include the D2N2 Local Enterprise Partnership, Nottingham City Council and the Department for Communities and Local Government. 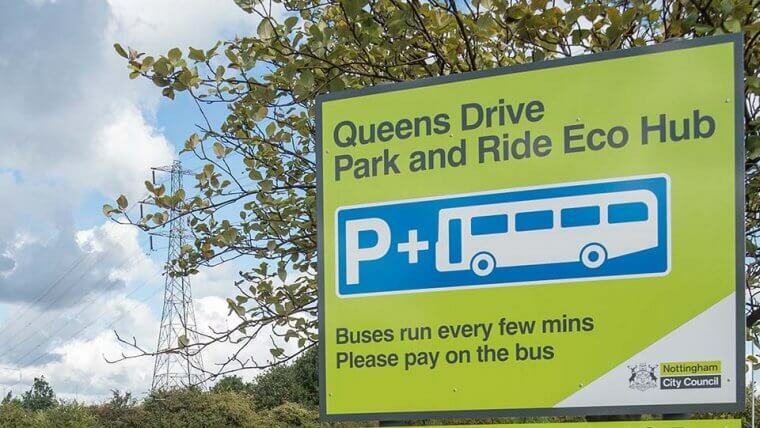 In October 2016 Nottingham City Council was awarded £6m from the D2N2 Local Enterprise Partnership to upgrade pedestrian cycle links to connect the Boots site to the city centre and surrounding areas, including in Beeston delivered by Nottinghamshire County Council.